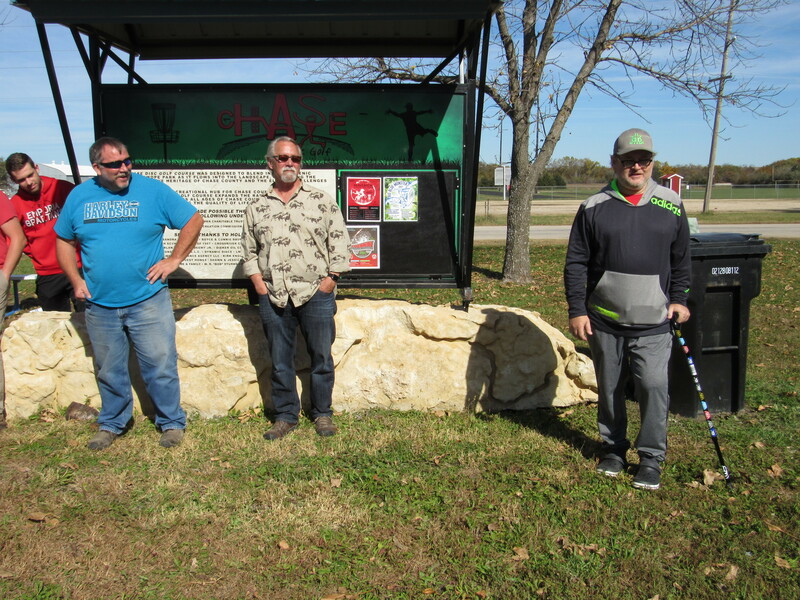 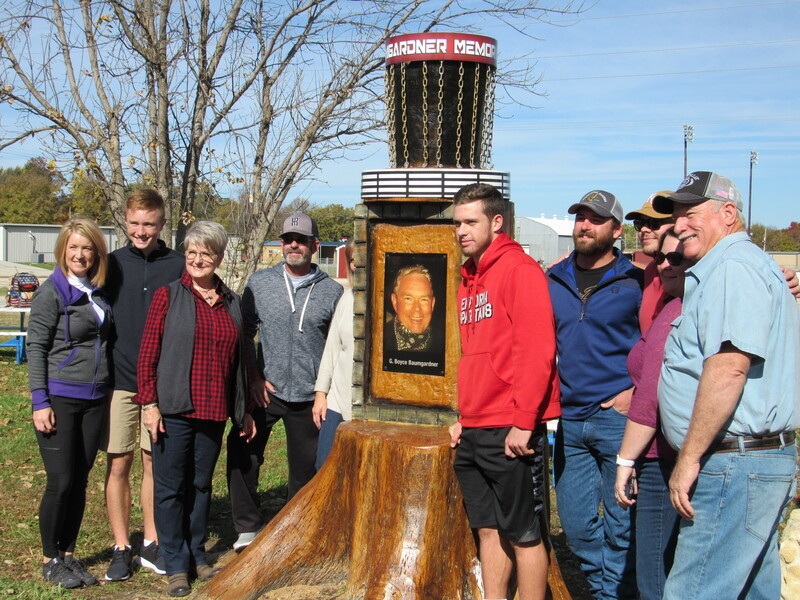 October 27, 2018 the Chase Disc Golf Course was renamed with a memorial celebration to the late Mayor Boyce Baumgardner. 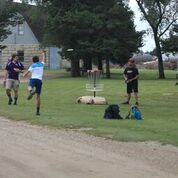 The course new official name is to be “G. 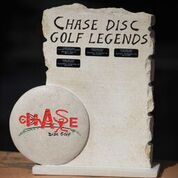 Boyce Baumgardner Chase Disc Golf Course”. 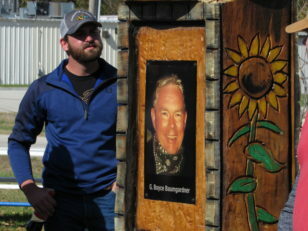 Boyce was passionate and instrumental in the vision of having a disc golf course in Cottonwood Falls at Swope Park. 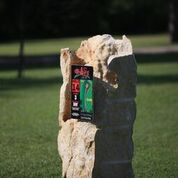 He worked with the designer Eric McCabe (World Champion Disc Golfer) on the limestone theme and spent many hours on the course clearing the pathways and beautifying the area. 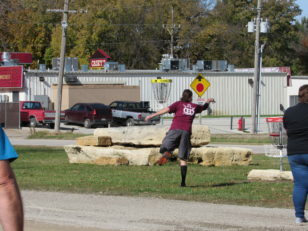 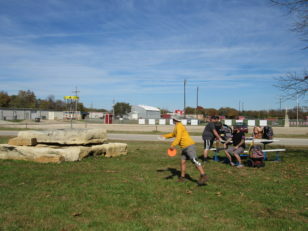 He also enjoyed throwing a disc with family and friends. 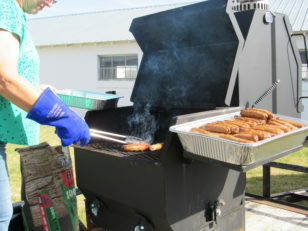 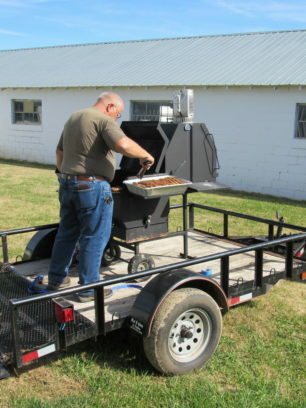 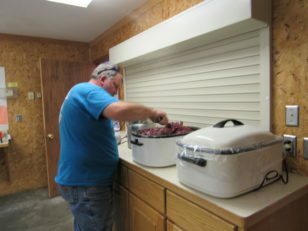 The Cities hope is to make the Memorial Tournament a yearly event along with a October Fest meal. 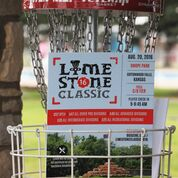 Besides this tournament the Limestone Classic is held during the summer (check Maverick Disc for date) and we hosted the women during the Champion Glass Blowout 2018 and hope to host again in the future. 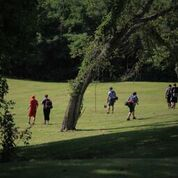 This is an awesome course and we hope you will all enjoy the course year round. 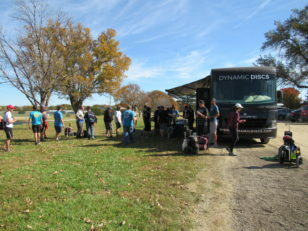 A Disc Golf club is available. 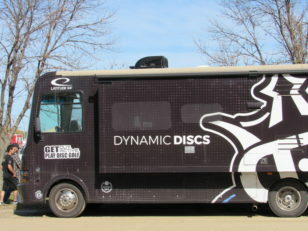 Contact the City Office for a contact person on times and dates they play. 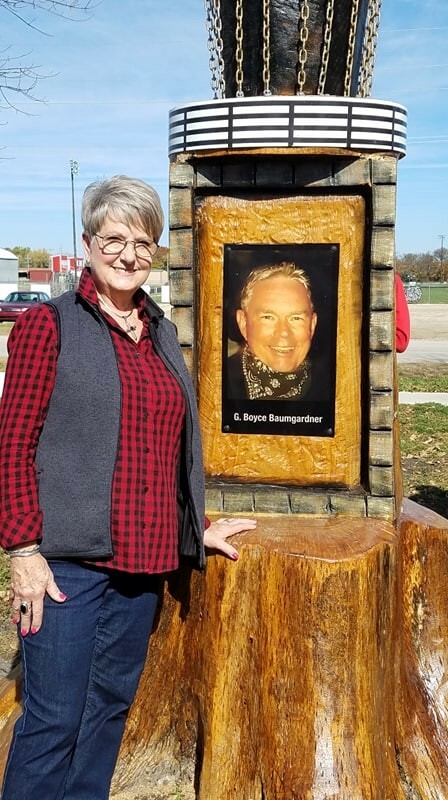 Connie Baumgardner wife of the late Mayor Boyce Baumgardner next to the Memorial at the G. Boyce Baumgardner Chase Disc Golf Course.